Russia's hybrid military forces attacked Ukrainian army positions in Donbas 22 times in the past 24 hours, with four Ukrainian soldiers reported as wounded in action (WIA), according to the press service of the Anti-Terrorist Operation (ATO) Headquarters. 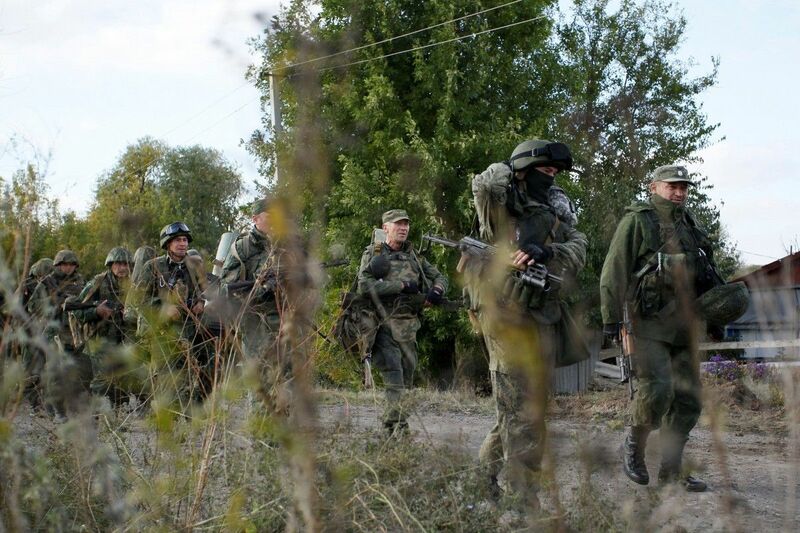 The situation remains tense in the ATO zone. Russian-backed illegal armed groups continue to neglect agreements on the de-escalation of the conflict in eastern Ukraine and attempt to discredit Ukrainian soldiers, cynically provoking the ceasefire violations. In particular, 14 enemy attacks were recorded in the Mariupol sector. The militants fired mortars on the Ukrainian strongholds near the villages of Shyrokyne, Vodiane, and Novotroyitske, while small arms, grenade launchers, cannons of infantry fighting vehicles, and anti-aircraft guns near the villages of Lebedynske, Hnutove, Pavlopil, and the town of Krasnohorivka. Read alsoRelative calm in Donbas: 13 enemy attacks, 2 WIA's in last dayIn the Donetsk sector, the Kremlin-backed mercenaries refrained from using weapons almost all day. "However, at about 20:00, the militants opened fire from 82mm mortars, hand-held anti-tank grenade launchers, and small arms on our positions in the southern outskirts of the town of Avdiyivka. Subsequently, the occupiers were shelling the Ukrainian positions near the village of Pisky for an hour, using 120mm mortars, tanks, and light infantry weapons. Moreover, at the end of the day, the enemy mounted another attack on ATO strongholds near Avdiyivka, using heavy machine guns and small arms. A total of three enemy attacks were recorded in this direction," the report said. In the Luhansk sector, the invaders opened fire on the Ukrainian army positions five times yesterday. The ATO strong points in the area of Donets came under enemy fire from grenade launchers, heavy machine guns, and small arms three times. The militants also used small arms against the Ukrainian strongholds near the villages of Stanytsia Luhanska and Krymske. As UNIAN reported earlier, the militants of the so-called "LPR" (self-proclaimed Luhansk People's Republic) made homemade explosive devices from Russian 120mm OF-843A mortar rounds (high explosive fragmentation) for bloody provocations. In particular, InformNapalm OSNT community found the relevant photos on VKontakte social profile of Dima Vashenko, a militant of the so-called 4th separate motorized rifle brigade of the Army Corps (Luhansk).